were honored recently for career sales in excess of 10 million units. 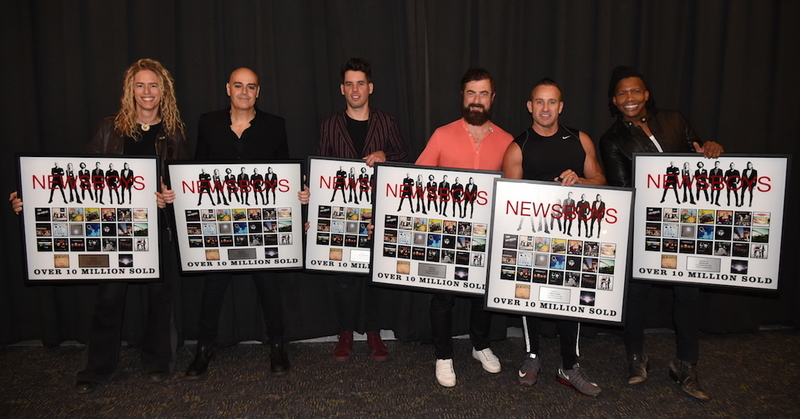 NASHVILLE, Tenn.— GRAMMY®-nominated, Platinum®-selling Newsboys were honored at their Nashville tour stop earlier this week for total career sales in excess of 10 million units. During a VIP reception at Lipscomb University’s Allen Arena, FairTrade Services president/founder Jeff Moseley recognized the band’s prolific achievement and rare accomplishment within the genre. Since forming in Australia more than three decades ago and arriving in America in 1987, Newsboys have released 23 recordings and are heralded as one of Christian music’s most iconic bands. Moseley also announced a full-length Newsboys United recording, set for release next year. 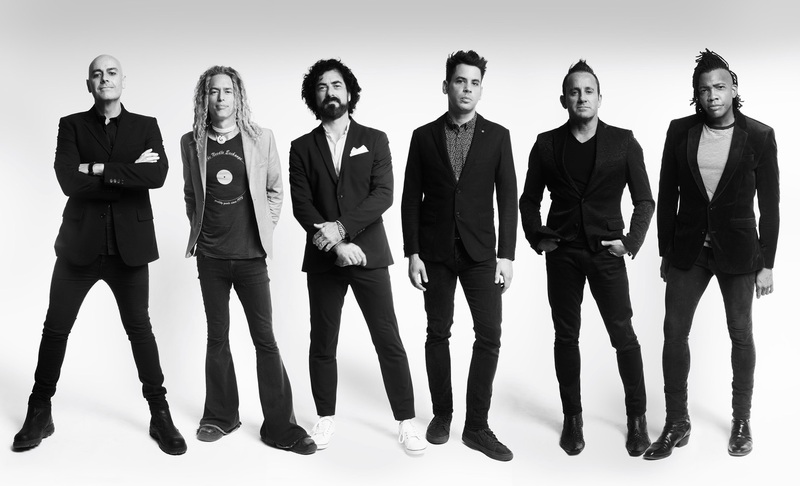 The FairTrade Services project will showcase Newsboys’ current lineup—Michael Tait, Duncan Phillips, Jeff Frankenstein and Jody Davis—along with former members Peter Furler and Phil Joel. The supergroup has performed to numerous capacity crowds around the country since reuniting earlier this year. Showcasing “all the hits… under one roof… for one tour,” the “Newsboys United Tour” is set to play a total of 100 shows in 2018. Additionally, Newsboys United performed fan favorite “He Reigns” during the 49th Annual GMA Dove Awards, broadcast earlier this week on TBN. The band was also recently announced as headliners of the multi-artist Winter Jam 2019 Tour Spectacular—Christian music’s largest annual tour and one of the biggest first quarter outings in the world. Newsboys United are set to take the Winter Jam stage beginning January 11 in Jacksonville, Florida, delivering a string of the biggest hits from their three-decade career.